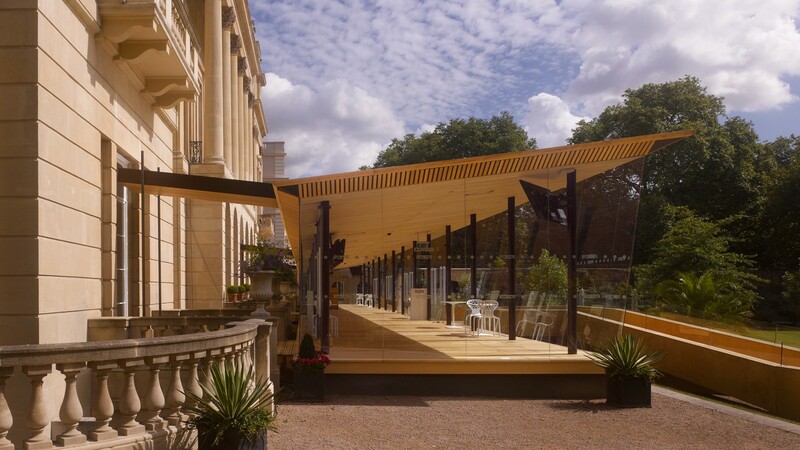 We were selected through invited competition to design and oversee the construction of a temporary pavilion in the grounds of Lancaster House, to host events for the British Embassy during the 2012 Olympics. 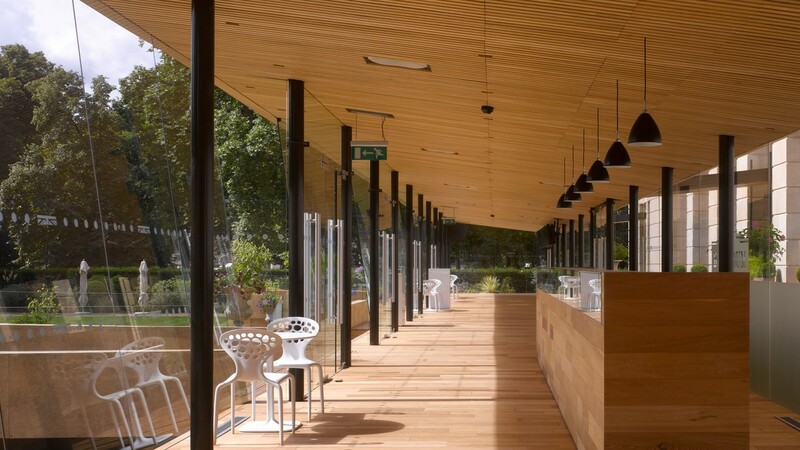 The 300-person capacity pavilion was constructed off site by a team of specialist joiners, and arrived as a series of pre-fabricated modules, assembled on site within ten days. 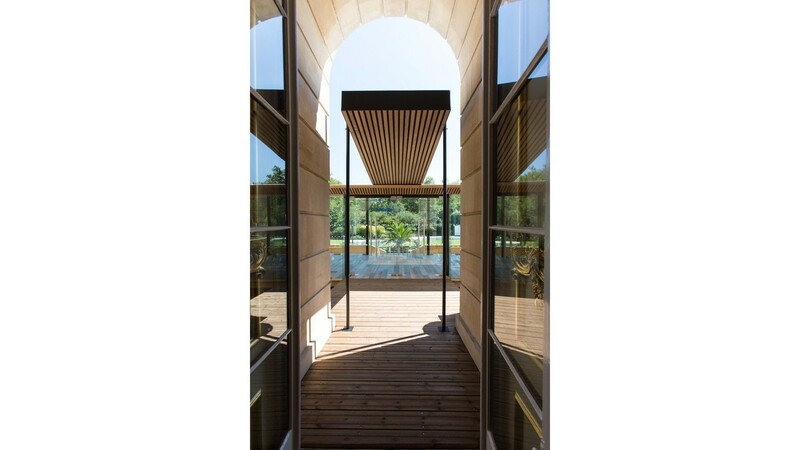 The pavilion’s simple and elegant composition was based on an elongated timber clad floor plate and low profile timber roof, supported by two rows of slender columns. 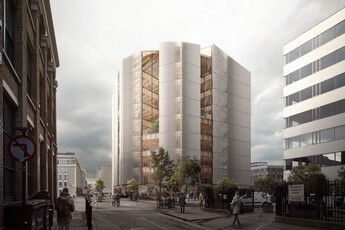 To further simplify the form the columns doubled as rainwater pipes and chilled air supply. 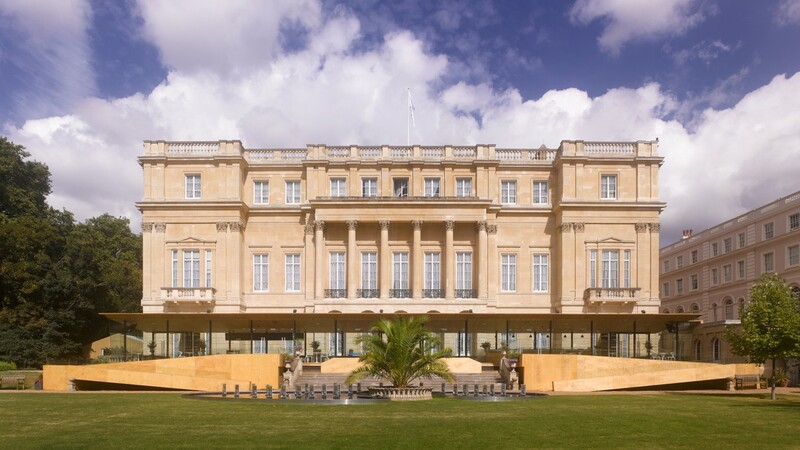 Designed to complement the classical façades of the Grade I listed Lancaster House, the space was enclosed on all sides by a continuous glass wall free from visible support structures. 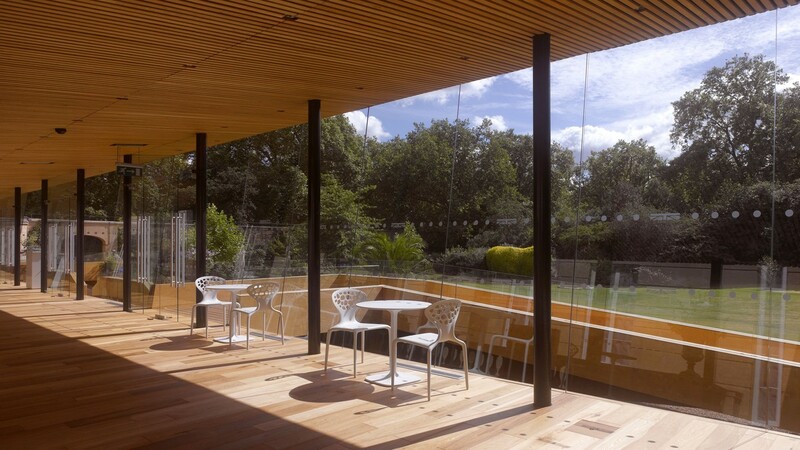 The roof sloped back towards Lancaster House, opening up to views of the garden, whilst the south elevation glazing angled forward to reduce reflections, making a seamless connection between inside and out. 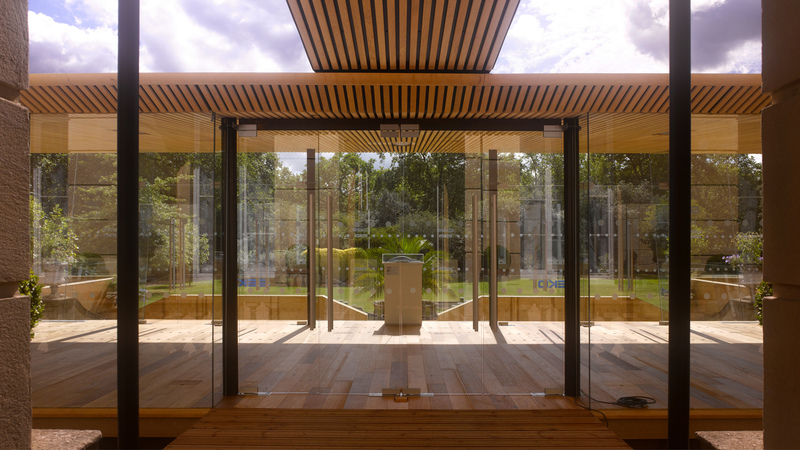 By extending Lancaster House’s stone steps with timber steps, and adding timer ramps either side, we ensured easy and equal accessibility down to the garden, and pavilion, whilst reflecting the grand symmetry of the house behind.